Popular image editing tool Adobe Photoshop turns 25 years old today and plans to celebrate by showcasing a collection of artists, all under 25, who use its comprehensive suite of tools in new and unique ways. Released on February 19, 1990 with a handful of basic editing features, the software has seen massive updates and overhauls throughout the years, with over a dozen major installments to its software since its first launch. As pointed out by Adobe, the source of the company's continued success in the ever-changing modern world is its "constantly evolving capabilities" that allow its software to be used for everything from coffee mug design to the artwork of a Hollywood blockbuster. "For 25 years, Photoshop has inspired artists and designers to craft images of stunning beauty and reality-bending creativity," said Shantanu Narayen, Adobe president and chief executive officer. "From desktop publishing, to fashion photography, movie production, website design, mobile app creation and now 3D Printing, Photoshop continues to redefine industries and creative possibilities. And today that Photoshop magic is available to millions of new users, thanks to Adobe Creative Cloud." Adobe launched a new TV spot for the 25th anniversary, as well, called "Dream On," which it plans to air during The Academy Awards this Sunday. With the Hollywood production theme, the ad includes references to movies like Gone Girl, Avatar, and How To Train Your Dragon 2, and the occasions where each film used Photoshop in the process of the movie's production. In honor of the occasion, the company is holding a "Top 25 Under 25" artist showcase, with hopefuls uploading their artwork to Behance and using the tag "Ps25Under25" to submit themselves for the top spots. The winning 25 artists in the end will take over Photoshop's Instagram, each given a two week hold over the account, to showcase their work for the world to see. The celebration starts today with artist Fredy Santiago - a 24-year-old Mexican-American artist from California - already uploading some of his work to the social network. Everyone bashing photoshop here has no clue about what goes on in the professional creative world. It comes mainly from ignorance and intimidation from it being a very complex program that can do anything graphically or photographically. Its an industry standard. I use it every day and it's made my job a hell of a lot easier as a creative professional with all the new features that come out. Everyone from designers to photographers to artists to.......you get the point. If people are happy with other great alternatives like pixelmator that's great, but most pros use photoshop. Not sure what the point of bashing it is.....other than crying that it's getting too complicated for you. That's like saying you'd rather use iMovie and Premiere is such a bloated piece of garbage. It's clear that some have noooooo freakinnnnn clue. 25 years and still bloatware. Sure it's very good at it's job but now it's just bloated and you can't even pay for it once and own it. For all but the heaviest image editing work, Pixelmator is looking like a great alternative. I've been using Photoshop since version 7, in 2002, and, despite all the company's failings and questionable business practices, was rather fond of Adobe software until their clown of a CEO decided that its users weren't being milked hard enough already and imposed that CC crap upon us all (the technical justification behind the decision – more frequent and granular updates –, by the way, is a blatant lie, as the “CC 2014” moniker might as well have been “CS8”). The way Adobe veered off course with their AIR and Flash shenanigans also goes to show just how out of touch they are with the market at large… Seriously, it took a disruptive platform with an incompatible browser and an open letter by Jobs for the web to be finally fixed and purged of proprietary, accesibility-averse plugins and, even then, those morons were in full denial mode for more than a year. To add insult to injury, they were lucky (or were they?) for not having been the target of an antitrust case on account of their purchase of Macromedia (and the subsequent and, in my opinion, monopolistic, anticompetitive and downright criminal discontinuation of FreeHand; either the acquisition should've been blocked altogether or, at the very least, they should've been forced to sell off all FreeHand-related patents and IP by regulators). After a long, stable 25-year-long reign, it's safe to say that the barbarians are at the gates already… The Pixelmator, Acorn and iDraw archers came in front and showed the way, and now it's up to the folks at Serif to knock 'em down with their Affinity Photo battering ram. And only then I, as many other, might consider switching back to Adobe's offerings; however, by then, we will have partially learnt new tools and workflows and, if the support is there (plug-ins, tutorials, overall academic and industry acceptance, etc. ), may end up sticking with Affinity. That Adobe doesn't get this and is probably laughing their competitors off while extorting and bullying their loyal users – yes, bullying, as in treating them like pirates and making their legally paid and licenced software actually harder to maintain and less reliable than if otherwise pirated – just shows that company's deep, culturally entrenched hubris and contempt for all things decent. Photoshop one day will go the same route as flash. Both very bloated. And I do hope pixelmator and others really become good enough to be accepted by the industry for light tasks and maybe one day even heavy tasks too. Then PS can finally start to die like flash is slowly dying now. 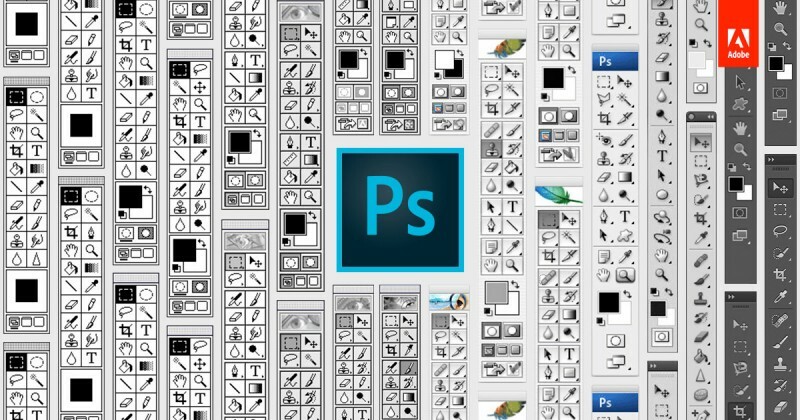 I've been using Photoshop since PS 6 though I am still currently using CS6. In spite of it's flaws Photoshop is a wonderful program. I have tried a few alternatives and have Canon DPP and Aperture 3. Nothing can touch Photoshop, and more importantly it is platform neutral. We're 25 so stuff anyone over? Yep. Apparently Adobe now thinks the only groundbreaking work is by people three years out of college. Personally I find this hilarious. Bloated? That's all you can say? It's a piece of software that is nearly limitless in creative possibilities. You refer to that as bloatware? Sounds like a personal grudge, not an educated opinion. I am very sad that Aperture is not being supported any longer. I have recently started using pixlemator. Given that I am not a big photo editor, but just using it for my personal stuff, it seems to do what I want. I had learned to hate Adobe because of Flash and AIR and never supported PS as a result. Maybe I was being too harsh, but now with their subscription approach, I will definitely never try them. Way to expensive and from what I read, not worth it considering what you get from other competitors for a lot less. Flash isn't Photoshop. If anything, Flash was an acquisition from Macromedia 10 years ago with inherent limitations. The two pieces of software are fundamentally different, both in design and output. Try forming an opinion that isn't descended down from a Steve Jobs letter. Pixelmator is rapidly improving, and the developers are putting their success to good use. If they can keep up the pace and continue to add features it will definitely start to compete with Photoshop. For people like me who aren't pros but need a graphics/photo editor every so often, I have no need for photoshop. Plus they struck gold with their $30 price point that is a one time only fee. I bet most willing to give up a few features for the massive difference in price. Or for those who actually use the software to its capabilities, there's no way I'd "give up a few features" for an immediate price difference. I hate them. I love them. I hate them. I love them. I was going to rant about how Adobe has essentially just said that everyone over age 25 is irrelevant, but instead I find myself in the contrary position of feeling compelled to defend them. The anti-Photoshop ranting in this thread is over-the-top. Y'all don't realize what Adobe has done with their apps, including through to the CC apps. I have been using Adobe Photoshop since version 3.5 and Illustrator since 3.0.1. Throughout the 90s, getting apps to work together was trickier than getting Republicans and Democrats to work together. Color issues were out of control, and file compatibility was complex. Today, color issues and file compatibility are almost an afterthought. Adobe is responsible for this. Were the Adobe apps always on the cutting edge? No, but they were more reliable, and you were more likely to get what you intended when you went to print with Adobe than you were with other apps. As for the claims of bloatware ... I can't think of a single Photoshop feature that doesn't make sense in the context of a modern workflow. Perhaps maybe not your workflow, but maybe that's because you're not using the app for all it's worth. But that's your problem – not Adobe's. Of course honoring under 25. Those who might never have known the pleasures of owning a license and upgrading if and then they felt like it. What I'm really getting overwhelmed with is everyone deciding that every single year a new major software needs to roll out. Apple included here. At my company I'm locked to the Adobe workflow, not my choice but After Effects is what I was trained in and it works mostly well. Adobe said that going to subscription would increase bug fixes and features. Well I can say thats not true at all. Have a new MacPro? After Effects can't even utilize the dual graphics cards at all. Multiple cores? Too bad After Effects is dependent on a single high Ghz processor. Have Yosemite? After Effects hates the OS and runs terribly. If this is supposed to be a professional application suite then where is the support? Nothing but empty promises and teases come out of Adobe employees. I'd rather a two or even three year upgrade cycle where they actually improved the software and tested it internally and stopped using the new Cloud update to turn all of us into Beta testers. My clients are not going to care or understand that a new software broke my machine. Honestly I understand Apple partnering with IBM because there's more money to be made in the enterprise arena but would it cost them too much to have a team that partners with other software makers like Adobe, Autodesk, Maxon, etc which could make OSX the most badass operating system out there for creative professionals as well as enterprise workers? Whats even more frustrating is out only other viable option out there is Windows. I try to live my life open to new experiences and never shut anything out based on popular opinion and I've tried several times to seriously explore using a Windows machine professionally. I even bought Windows 8 when it was brand new to try on a spare PC I have, it got stuck on the update screen just like the old Windows OS's. This all just makes me sad. Anyway if you actually read this entire thing. Thanks!